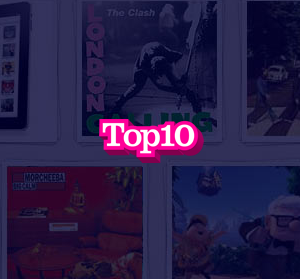 Top10 is a social recommendation service which, as you would expect, is based around ‘top 10 lists’ and aims to be the ultimate platform to discover and share recommendations about the things you love. The company has raised $3.5 million in funding, and today we have the co-founder of Top10, Tom Leathes, on The Startup Project. First of all – can you share the story behind the development and launch of Top10? Where did the idea originate? Top10 has been a powerful concept in popular culture for a long time. We wanted to take a concept that people already strongly identify with, and use that to create a new kind of platform for doing two things: recommending the stuff you love in a fun, social and collaborative way, and through that build an amazing resource for people to discover new things. We think that finding and buying things on the web is a pretty dry process. With Top10, we wanted to build something a more natural solution, and do it in a way that reflects the way people interact in the real world. We’ve just launched the very first version of the Top10 – which is all about creating lists and curating the results. But this is really just phase one – and lots more cool ways of recommending and discovering new things are in the pipeline. Top10 is a social recommendation service, part of a market which -debatably – has become predictable and sterile for consumers. What makes Top10 different to the abundance of recent social startups? Why can Top10 succeed where others have failed? Firstly, I’d disagree that social recommendation is a sterile space. It’s hard to define exactly, but a lot of the most interesting services out there are using the power of social networks to help people discover things – from Foursquare to Twitter to Quora to Pinterest. Whilst there are some amazing services out there, we don’t think there is anything that makes recommending things fun, and then harnesses that data to help people buy things – which is what we’re building at Top10. The company has recently announced a $3.5 million funding round – can you share the story behind that? What advice can you offer to fellow entrepreneurs looking for funding? We spent a few months working very hard to build a working beta of the Top10 platform before approaching the investors we wanted to work with, and it went from there. I wanted to make sure we had a set of investors that could help in all areas of the business, beyond just providing money – from advising us on scaling and growing the company, through to relevant sector experience and fantastic networks. We think we’ve found that with the team we now have behind us. At the moment, the market for accessing and securing investors to back your technology idea is very open. But unless you have an amazing track record as an entrepreneur, you’ll struggle to get backing for an idea alone. My advice would be to get something amazing built (even if it’s really simple) before you go out to seek funding. Have a clear view on how you’re going to get traction for your product. Investors want to back great people with a strong vision and a product that shows what they’re capable of – so make sure you have all that in place before you start looking for money. Top10 is based in London – do you believe that being outside of the typical Silicon Valley startup space has had any impact on the success of the company? How important is the location of the headquarters of a startup to its success? The Valley is definitely the most connected place to build a startup right now. It’d be wrong to suggest that London is a better place to be based than Silicon Valley, but its definitely becoming a lot more viable as a base to build a global business from, and it’s working really well for us so far. The talent wars in the Valley have made it very tough for startups there to secure great people. In London there are a lot of ambitious developers that want to do something amazing, and there aren’t a massive amount of places to do that – that’s been fantastic for us in building a passionate and talented team. Europe in general is becoming a much more exciting place to be from a tech point of view, and there a number of big successes that show what’s possible (see Spotify, Skype, Rovio, etc). It’s important to be based somewhere close to talent, customers and investors, so location is clearly important – but as the tech sector becomes more global, there are more options than ever. Finally, if you could offer only one piece of advice to an aspiring entrepreneur, what would it be? Find incredible people to work with, and don’t try to do it on your own. Very few people are capable of building a company based on one person’s vision, and you are much more likely to succeed if you find an great team that shares your enthusiasm and brings complimentary skills to the table.